Extensive and destructive floods across eastern Japan have swept more than 700 bags containing Fukushima-contaminated soil and grass into Japan’s rivers, with many still unaccounted for and some spilling their radioactive content into the water system. 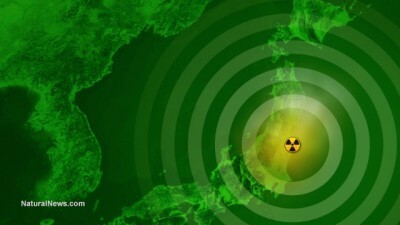 Authorities in the small city of Nikko in Japan’s Tochigi Prefecture, some 175 km away from the Fukushima nuclear power plant, have said that at least 334 bags containing radioactive soil have been swept into a tributary of the Kinugawa river, The Asahi Shimbun reports. According to the city’s authorities, the washed-away waste was only part of hundreds of bags being stored at the Kobyakugawa Sakura Koen park alongside the river. Another 132 bags of waste reportedly rolled down the slopes. The incident happened after Tropical Storm Etau caused vast flooding across Japan forcing the Kinugawa River to burst its banks on September 10. Twenty bags were found empty downstream on Thursday. Three hundred and fourteen bags, each with a capacity of one cubic meter, remain unaccounted for. However Nikko’s Mayor Fumio Saito said that radiation levels at the recovery site show normal measurements of 0.14 microsieverts per hour, below the threshold of 0.23 microsieverts per set by the central government. “The radiation level is so low that I believe there will not be a huge impact,” Saito said. In a separate incident earlier this week, the village of Iitate of the Fukushima prefecture claimed that at least 395 bags containing waste were swept by the floods from a decontamination work site into a river. At least 153 of the bags were found to be empty. Immediately after the tropical storm hit Japan, media reported that 82 bags had been washed away by the floods. At the same time, the storm also caused the contaminated water kept in specially designed tanks to overflow and spill into the sea.